Don Tapscott an authority on the digital economy, and his son Alex Tapscott, an expert in industry-leading blockchain businesses, want to introduce you to the internet’s second generation. During the early days of the internet, the notion of new business models was introduced. Now once again the technology genie has escaped from the bottle – and we don’t mean the social web, Big Data, the Cloud, robotics or even artificial intelligence. We’re talking about the blockchain, the technology behind digital currencies like Bitcoin. With blockchain technology underlying cryptocurrencies such as Bitcoin, we are beginning to see radical new business models and big changes in firms: how they are funded and managed, how they create value, how they perform basic functions like marketing and accounting and how they compete. 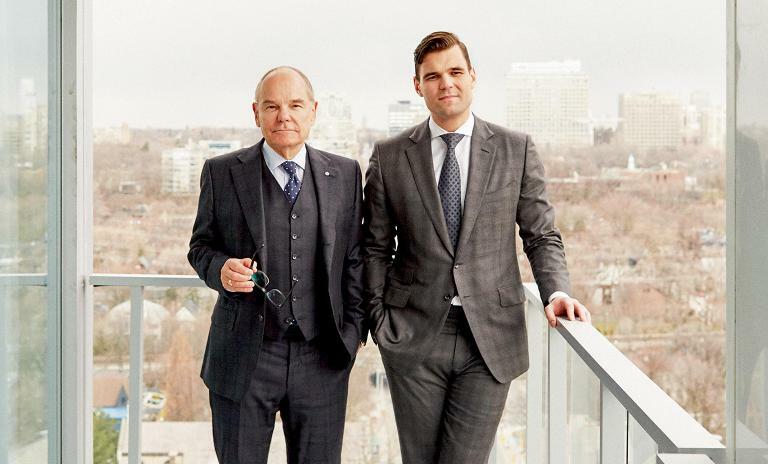 A FAMILY AFFAIR: Father and son duo Don Tapscottand Alex Tapscott bring two generations of insight to the blockchain debate. Most strategists see blockchains as being central to so-called "fintech" and a big change for the financial services industry. To be sure, this technology will be at the heart of changes that may well render the industry unrecognizable. However, our two-year research project provides strong evidence that the blockchain revolution represents nothing less than the second generation of the internet, and it holds the potential to transform money, business, government, democracy, culture and society. "With the Internet of Information we have to rely on powerful intermediaries to establish trust." The internet today connects billions of people around the world, and is certainly great for communicating and collaborating online. But because it’s built for moving and storing information (and not value), it has done little to change the corporation and the nature of business. When you send information to someone, like an email, Word document or PDF, you’re not sending the original – you’re sending a copy. It’s OK (and indeed advantageous) for people to publish a copy of their PowerPoint file, but it’s not OK when it comes to money, stocks, intellectual property or music rights. So with the Internet of Information we have to rely on powerful intermediaries to establish trust. Banks, governments and even social media companies like Facebook do all the work of establishing our identity, helping us own and transfer assets and settle transactions seamlessly. Overall they do a pretty good job – but there are limitations. They use centralized servers, which are vulnerable to attack or shutdown. In addition they take a piece of the value for performing this service – say 10% of the transaction to send funds internationally. They capture our data, not just preventing us from using it for our own benefit but often undermining our privacy. They are sometimes unpredictable and often slow. They exclude two billion people who don’t have enough money or a firm identity to justify a bank account. Most problematic, they are capturing the benefits of the digital age asymmetrically – and today this is a growing problem. What if there were an Internet of Value – a globally distributed, highly secure platform, ledger or database where we could store and exchange value without powerful intermediaries? That’s what blockchain technology offers us: safety, reliability and trustworthiness of commerce online. That’s why we call it the Trust Protocol. It presents countless opportunities to blow centralized models to bits – models like the corporation, a pillar of modern capitalism, along with its management canon and bureaucratic hierarchy. "We’re talking about building companies that look more like networks than the vertically integrated hierarchies of the industrial age." It turns out every business, institution, government and individual can benefit in profound ways. With the rise of a global peer-to-peer platform for identity, trust, reputation and transactions, CEOs will be able to re-engineer deep structures for innovation and shared value creation. We’re talking about building 21st century companies that look more like networks rather than the vertically integrated hierarchies of the industrial age. CEOs in the financial services industry have now recognized that blockchain provides a concrete threat and subsequent opportunity, and executives in other industries will soon follow. New business models are emerging everywhere. The "disruptors" like Uber and Airbnb may well be disrupted themselves as most so-called sharing economy companies are really service aggregators. They aggregate the willingness of suppliers to sell their excess capacity (cars, equipment, vacant rooms, handyman skills) through a centralized platform, and then resell them to users – all while collecting valuable data for further commercial exploitation. Blockchain technology provides suppliers of these services a means to collaborate that delivers a greater share of the value to them. Just about everything Uber does could be done by smart agents on a blockchain. The blockchain’s trust protocol allows for cooperatives or autonomous associations, to be formed and controlled by people who come together to meet common needs. All revenues for services (except for overhead) would go to members, who also control the platform and make decisions through consensus. How will blockchains change the corporation? Many management thinkers – us included – have speculated that the internet would reduce transaction costs in the marketplace, leading to the unbundling of the vertically integrated corporation into an interconnected network of networks. However, the surprising reality is that the internet has had very peripheral impact on corporate architecture. The industrial-age hierarchy is pretty much intact as the recognizable foundation of capitalism. Sure, these networks have enabled companies to outsource to low-cost geographies, dropped transaction costs inside the firm and a host of other services, but the primary structure remains relatively the same. Don Tapscott and Alex Tapscott are the authors of the book, "Blockchain Revolution: How the Technology Behind Bitcoin is Changing Money", Business, and the World. Don is the author of 15 widely read books about technology in business and society and is ranked as No. 4 on the Thinkers50, a ranking of the leading management thinkers globally. Alex is the CEO and Founder of Northwest Passage Ventures, an advisory firm building industry-leading blockchain businesses. Blockchains hold the potential of dropping the costs of search, coordination, contracting and establishing trust in the market, causing the boundaries of corporations to finally open up. We’re in the early days of profound changes to the deep structures and architecture of the firm and how businesses orchestrate the capability to innovate, create goods and services and engage with the rest of the world. A global searchable database of all transactions would dramatically lower the search costs for organizations. Smart contracts on blockchains will slash the costs of contracting, enforcing contracts and making payments, including micropayments specified on contractual arrangements. Smart agents on the blockchain hold the promise of eliminating agency and coordinating costs, perhaps even leading to highly distributed enterprises with little or no management. Blockchain technology also takes networked business models to a new level by adding in native payment systems, reputation systems, uncensorable content, trustless transactions, smart contracts and autonomous agents – the key innovations of the blockchain revolution. There are thousands of dispersed ­volunteers who brought you open source software and ­Wikipedia. By enabling reputation systems and other incentives, blockchain technology can improve their efficiency and reward them for the value they create. Just as IBM embraced Linux, firms can tap into self-organizing networks to co-create or peer-produce value. Many musicians, photographers, artists, designers, scientists, architects, engineers and authors have not received proper compensation for their intellectual property (IP) on the internet. Blockchain technology solves the IP world’s equivalent of the double-spend problem – piracy – better than existing digital rights management systems. Consider the digital registry of artwork, including the certificates of authenticity, condition and ownership: artists could decide whether, when and where they wanted to deploy it – and be able to track where each of their pieces ended up (as well as their current value). The Trust Protocol supercharges cooperatives – autonomous associations formed and controlled by people who collaborate to meet common needs. With blockchain technology, they can translate their willingness to cooperate into reliable accounting for rights, assets, skills and work product that displaces platforms like Uber, Airbnb and TaskRabbit. Again, all of the value is split equitably among the value creators. Perhaps blockchain technology can take us beyond the sharing economy into a metering economy, where we can rent out and meter the use of our excess capacity. With blockchains we can rent out excess capacity of certain commodities – Wi-Fi hot spots, computing power, storage capacity, the heat generated by our computers, our extra mobile minutes, even our expertise – without lifting a finger. For example, when you travel, your Wi-Fi can rent itself out in your absence, charging fractions of pennies for every second of usage. Your imagination (and possibly new regulation) is your only limit. Your subscriptions, physical space and energy sources can now become sources of income, metering their use directly to a counterparty and charging them for it through micropayments. All you need is a decentralized value transfer protocol to allow them to safely and securely transact with one another. These platforms instill subsidiary rights in all our assets. You need to decide the extent to which you want to assign others usage and access rights – even the right to exclude others from using your assets – and what to charge for those rights in a competitive market. Enterprises create platforms when they open up their products and technology infrastructures to outsiders. Blockchain technology makes platform building cheaper and manageable. It provides a standard common database and standard common contracts, which increase data transparency and portability. Users can pursue the best terms and cooperate with the best talent to create their own platforms, rather than using the applications of traditional companies. Think of the car of the future, part of a blockchain-based network where everyone can share information and various parts of the vehicle are responsible for transactions and the exchange of money between parties. Given such an open platform, thousands of programmers and niche businesses could customize applications for your car. Soon such platforms could transform entire industries such as financial services by settling all kinds of financial transactions and exchanges of value. A consortium of the largest banks is already working on the idea. This type of new platform is the rising tide that lifts all boats. Blockchain technology supports the Internet of Things used in manufacturing. It can automate not only the coordination of machines, but the tracking of inputs and outputs from each. We could, for example, monitor our beef from birth to burger, enabling the consumer to buy animals that were raised humanely, fed quality ingredients and butchered under sanitary conditions. Manufacturing-intensive industries can give rise to planetary ecosystems for sourcing, designing and building physical goods, marking a new phase of peer production – making it rain on the blockchain. Just as a modern aircraft has been described as "a bunch of parts flying in formation," companies in most industries tend to disaggregate into networks of suppliers and partners. Three-dimensional printing will move manufacturing closer to the user, bringing new life to mass customization. Soon, data and rights holders can store metadata about any substance from human cells to powered aluminum on the blockchain, in turn removing the limits on corporate manufacturing. Today, commercial collaboration tools like Salesforce Chatter or Microsoft SharePoint are changing knowledge work, but there are clear limitations. Users often cannot transfer their ideas from unit to unit, let alone from job to job, yet vendors and corporate IT can eavesdrop on collaborations. To attract talent, firms need to respect employee security and privacy. The blockchain enables individuals to establish and manage their own personas online and decide how, where and what to contribute to a commercial project and with whom – and subsequently be able to revoke permission when a service or collaboration is no longer active. Smart companies will participate fully in the blockchain economy rather than play its victims. In the developing world, the distribution of value creation (through entrepreneurship and talent pools) and value participation (through distributed ownership) may help to reconcile the prosperity paradox. Overall, the open networked enterprise shows profound and even radical potential to supercharge innovation and harness extraordinary capability to create good value for shareholders, customers and societies as a whole. 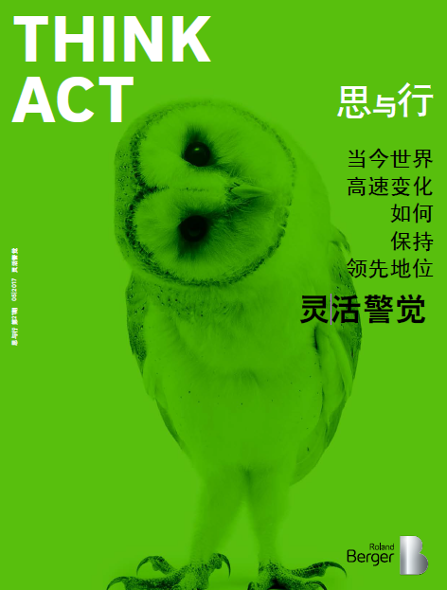 This issue of our Think:Act magazine leads on how global corporations ranging from BASF and Cisco to Corning and Haier are harnessing their innovation skills to pre-empt changes in the business environment.